Abstract : We present a semi-immersive environment for conceptual design where virtual mockups are obtained from gestures we aim to get closer to the way people conceive, create and manipulate three-dimensional shapes. We developed on-and-above-the-surface interaction techniques based on asymmetric bimanual interaction for creating and editing 3D models in a stereoscopic environment. 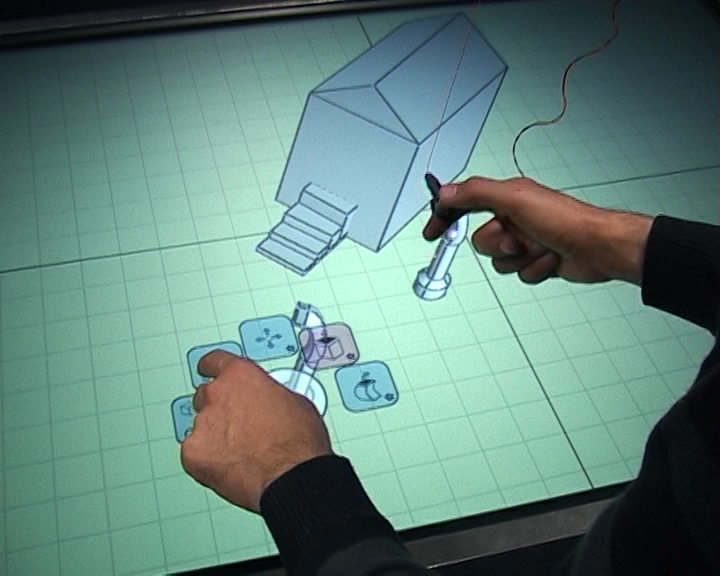 Our approach combines hand and nger tracking in the space on and above a multitouch surface. This combination brings forth an alternative design environment where users can seamlessly switch between interacting on the surface or in the space above it to leverage the bene t of both interaction spaces.